We have recovered more than 2,440 failed RAIDs since 2007! $300 Data Recovery is the leading provider of affordable clean-room data recovery services (with more 5-star ratings than any other data recovery company). 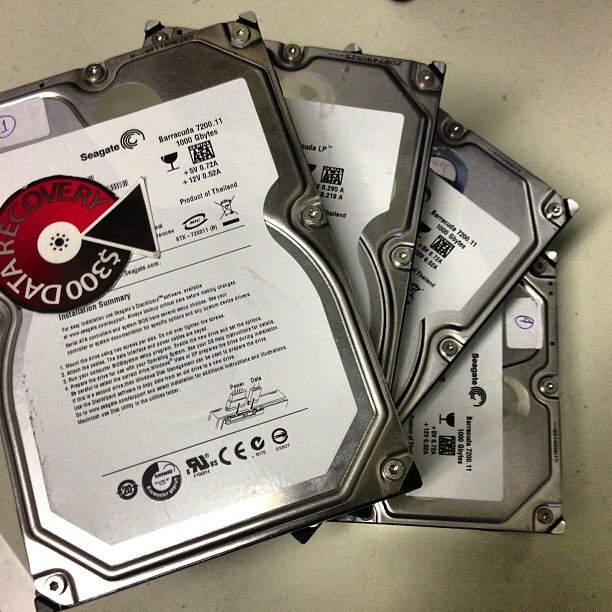 We are RAID experts and have over ten years of hands-on experience manually rebuilding failed RAIDs. 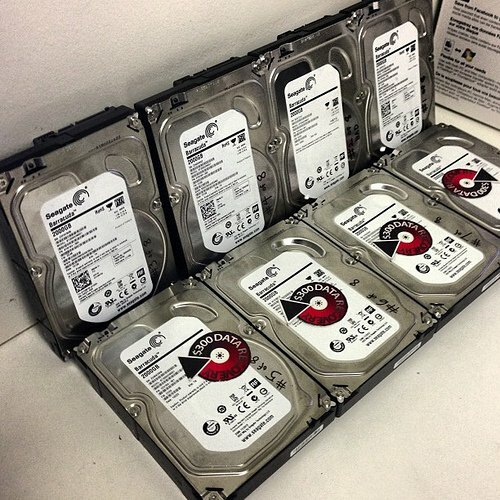 Our extensive RAID knowledge means no RAID is too complicated to be recovered for a fair price. On average, our customers with “single-drive” recoveries save over $500. But, customers with “multi-drive” recoveries (“RAIDs”) will typically save at least $1200. Unlike other companies that charge a premium for RAID data recovery, along with surcharges for SCSI or SAS interfaces or “Level-3” clean room repairs, we maintain our low flat-fees and transparent rates. 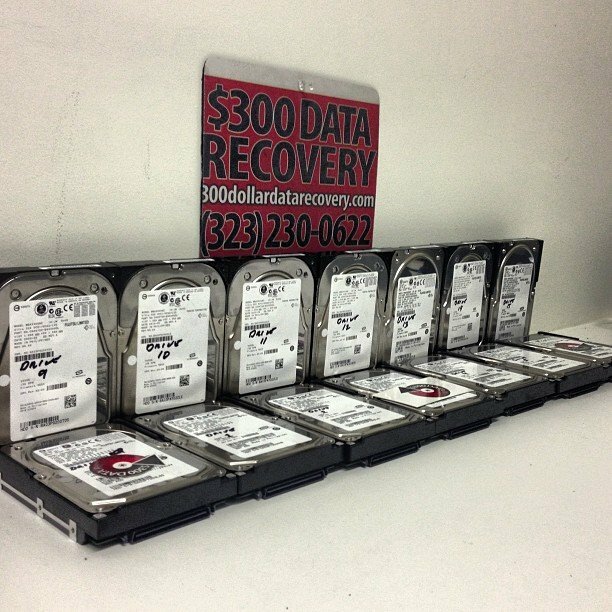 At $300 Data Recovery, it just takes a minute to calculate your total cost or get an estimate on the likelihood we’ll be able to successfully recover your RAID. 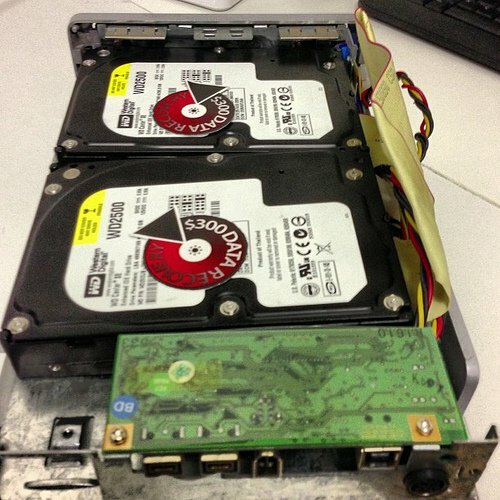 Pay NOTHING if we can’t recover your data! *RAIDs with drives larger than 2TB (individually; not the entire RAID capacity), or encrypted RAIDs, incur an additional $100 fee, per drive. If we recover data that you don’t want (i.e. 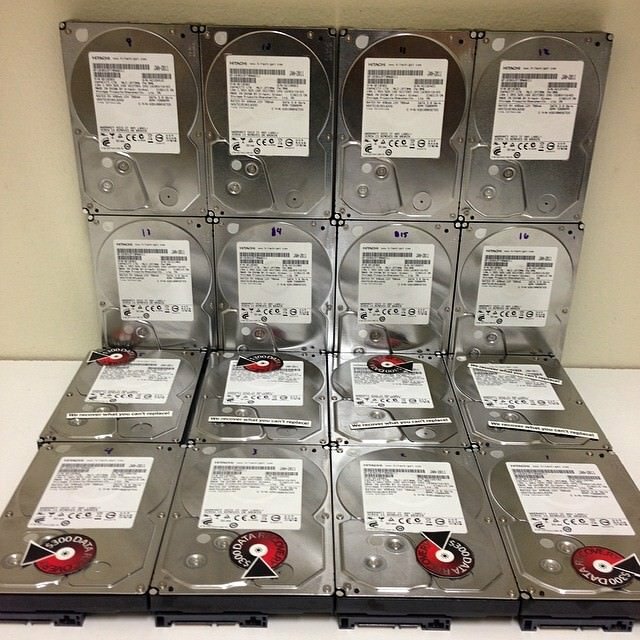 we recover 75% of your files), you’ll pay a $100 labor fee (per drive). If we can’t recover any data, there is NO CHARGE. 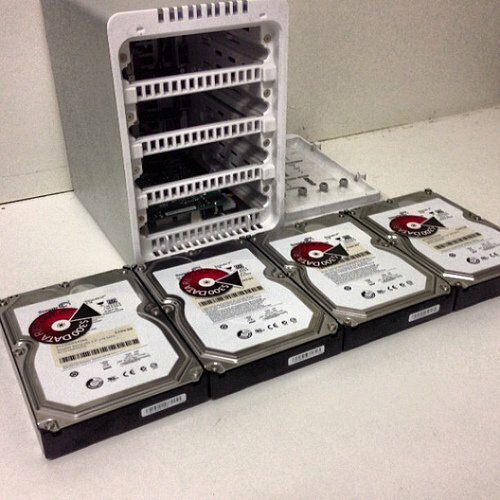 16 x 4TB RAID from Maxx Digital server: 100% recovered for $6400 in Dec 2014. 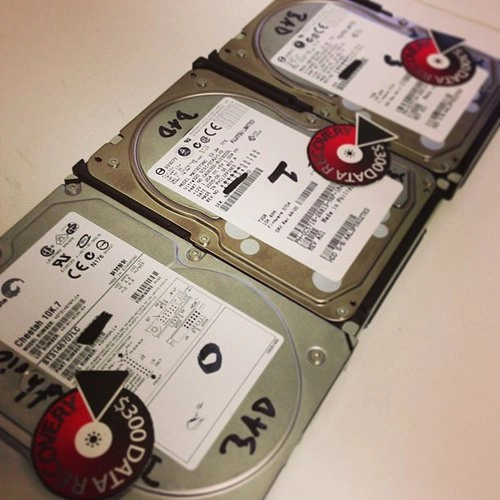 We believe in charging fair prices for RAID data recovery services. We know that most people cannot afford the unjustified high prices that other companies demand. The goal of $300 Data Recovery is to offer the same services for an affordable price. 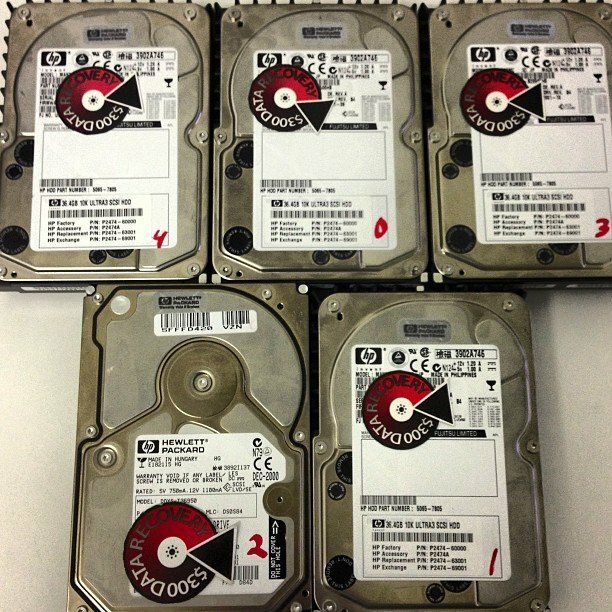 When it comes to RAID data recovery, most data recovery companies charge a premium because of the customers who use RAIDs. In general, RAID owners are businesses who can afford to spend more money for data recovery and often need their data back urgently. 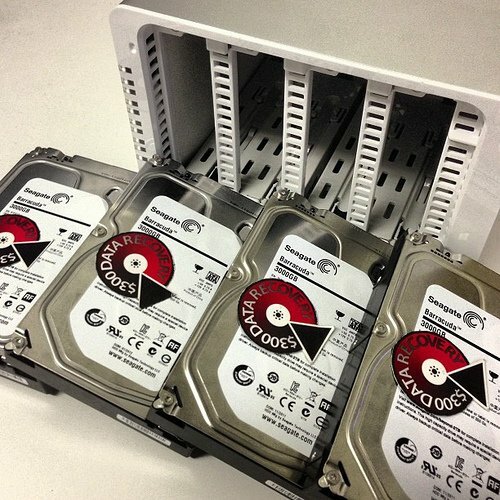 If you can afford the extra cost of purchasing a RAID, then you can probably afford to pay a very high cost to get back your data. 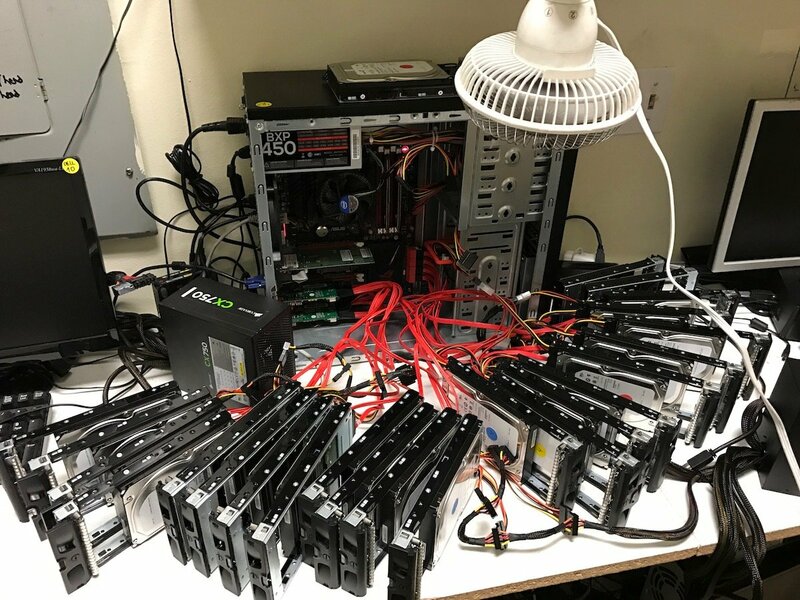 We DO NOT take advantage of RAID owners and charge the same fair price for data recovery (without charging extra for the time spent rebuilding the RAID). 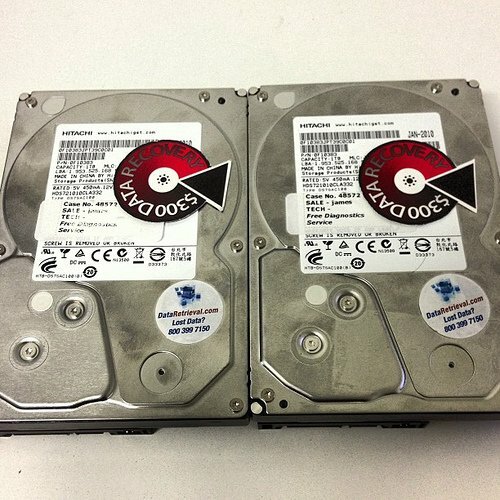 In addition, other data recovery companies will charge you extremely high prices to “recover” the failed drive(s) in your RAID, even if they aren’t required to recover all your data. 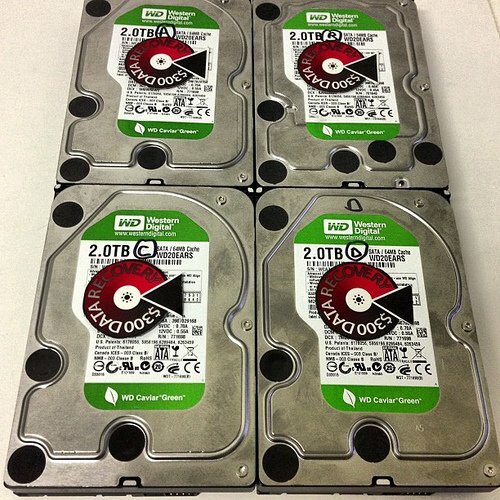 For example, if you have a RAID 6, and two drives have bad heads, other companies will charge you thousands of dollars to swap heads so the drives are readable. While we also have the ability to swap the heads, it probably won’t be necessary. 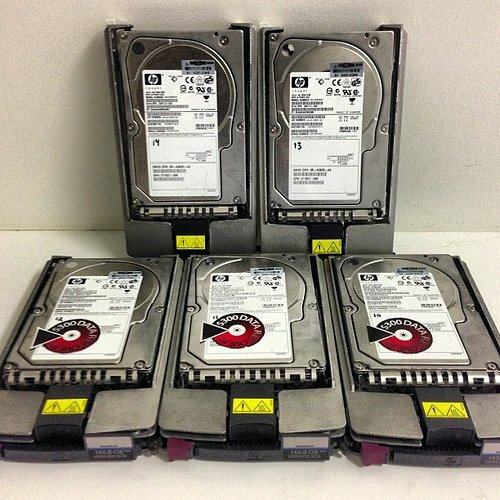 Since many RAID types contain redundant “parity” data (including RAID-1, RAID-5, and RAID-6), replacing the heads is often an unwarranted expense. You’ll save a ton of money if we are able to rebuild your RAID using the “parity” data (which is possible in 95% of RAID cases). 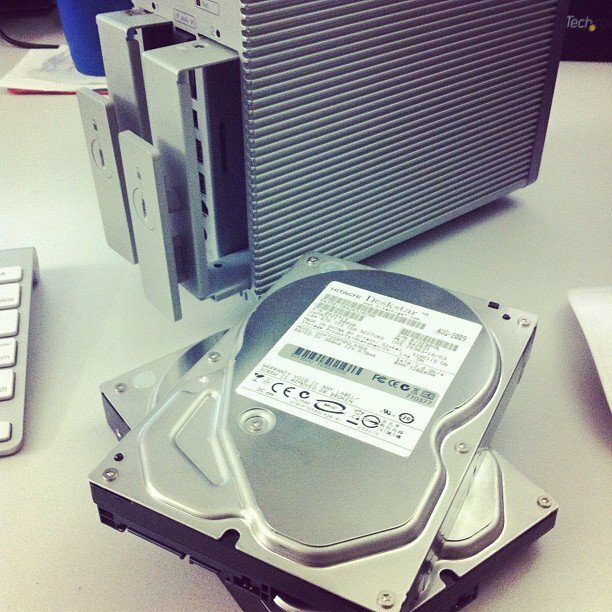 If we can’t rebuild the RAID using “parity” data, then we can swap heads and recover the other failed drive(s). 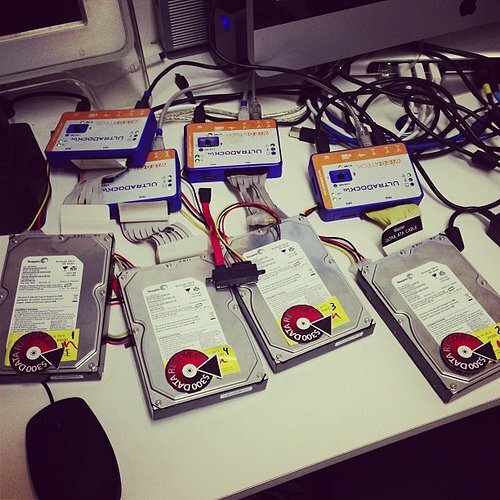 We are RAID data recovery experts! We’ve earned more than 2500 5-star reviews from our customers and recovered over 2,400 RAID arrays as of February 2019. 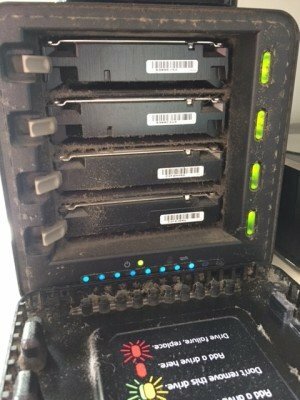 Unlike other companies that may try to “repair” your RAID inside its enclosure, we DO NOT need your “RAID controller” or “RAID enclosure” to recover your data! Since we have the expertise required to manually rebuild any RAID array by hand, all we need from you is the bare hard drives from your RAID. By analyzing each hard drive on a sector-level, we are able to determine your RAID’s parameters (like disk order, stripe size, RAID type, etc.) and virtually rebuild your RAID — even if you don’t know what kind of RAID you have. We can recover data from all file system formats, like HFS+ (Mac), FAT32/NTFS (PC), XFS/EXT3/EXT4/ReiserFS (Linux), and Virtual File Systems (VMFS) along with all hard drive interfaces (like SATA, IDE/ATA, SCSI, and SAS). 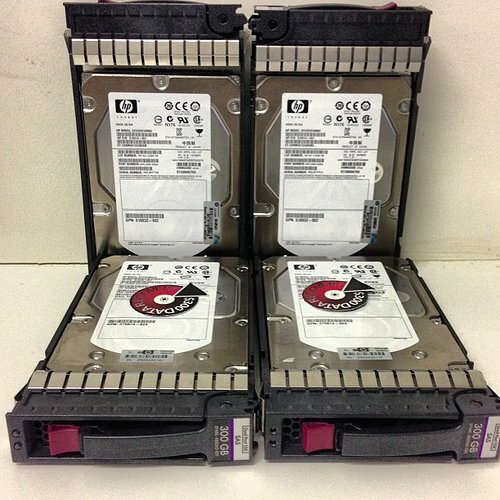 Assuming the problem with your Drobo is a bad drive (marked on Drobo with a “red” or “yellow” LED indicator), you can give us just the bad drive and we’ll clone it to a new SATA drive that you provide or buy from us. If we can successfully clone 99.9-100% of the sectors, then our fee is due ($300; +$100 if the individual drive is over 2TB). You will then take the clone, put it back in your Drobo, and hope the Drobo mounts (or it’s able to repair itself and then mount, or it’s a good enough clone that Drobo technical support can rebuild the RAID). If we recover less than 99.9% of the sectors, it’s your choice to pay for our partial clone or decline the recovery and pay a $100 labor fee. If we can’t recover any of the sectors (or less than 90%), there is no charge. There are no refunds after you receive the cloned drive, even if the Drobo doesn’t mount, isn’t able to repair itself, or Drobo technical support cannot fix it. You give us the entire Drobo unit with all the hard drives. 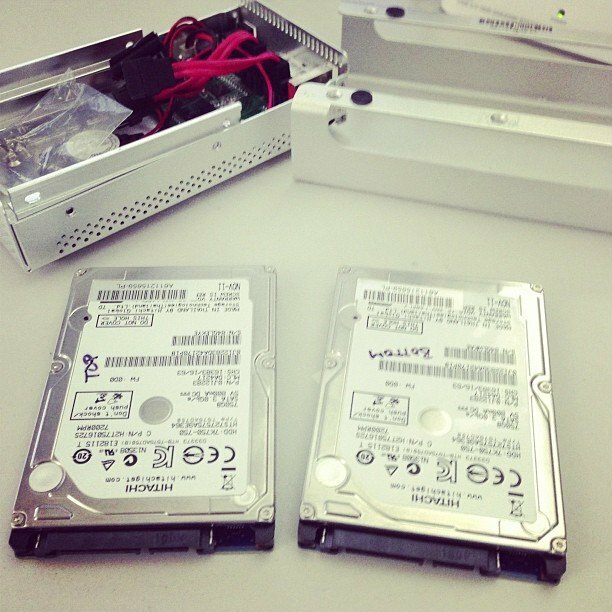 We will clone each drive before doing attempting any rebuild or manual repair, which is much safer than using rebuilding with the original hard drives because Drobo’s automatic repair/rebuild could end up making things worse. If we can get back data you want, the cost would be $300 x [the total number of drives in Drobo] (so if you have a 5 drive Drobo, the cost would be $1500; +$100 per drive if the hard drives are greater than 2TB). 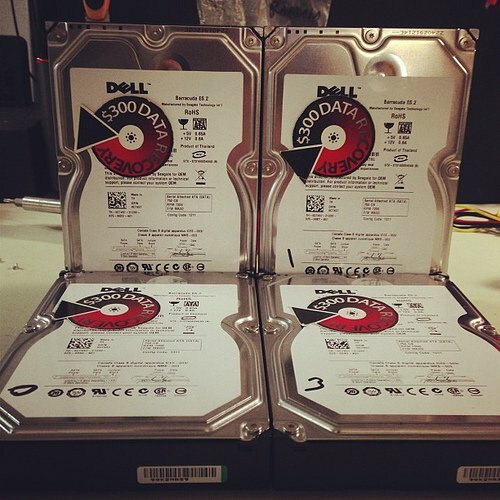 If we get back data you do not want, we charge $100 labor, per drive. If we can’t recover any data, there is no charge for our attempt. Get your data back fast! 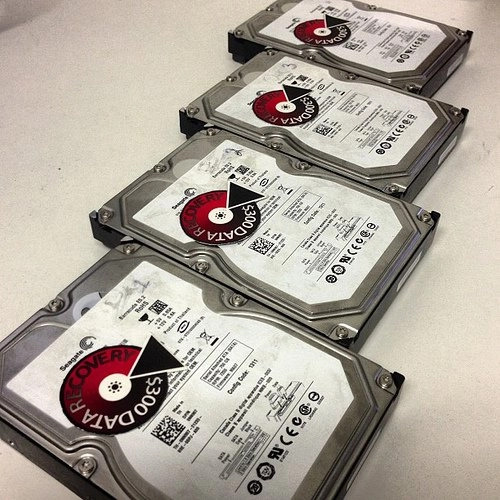 Our average turnaround time for RAID data recoveries is 5-10 days. If you need your data back even faster, check out our Priority Service. If you have any questions, please send us an e-mail or give us a call at 323-230-0622. You can also chat live with customer support by clicking the chat box in the lower right corner of this page (during business hours).